The Loder's Point Premises Museum features many items relating to the fishery, and is located in the upper story of the former general store, which still has it's original shelves. The Loder family from Harbour Grace, Newfoundland were merchants who established a fish trading business and constructed premises in the community that was to operate for many years. 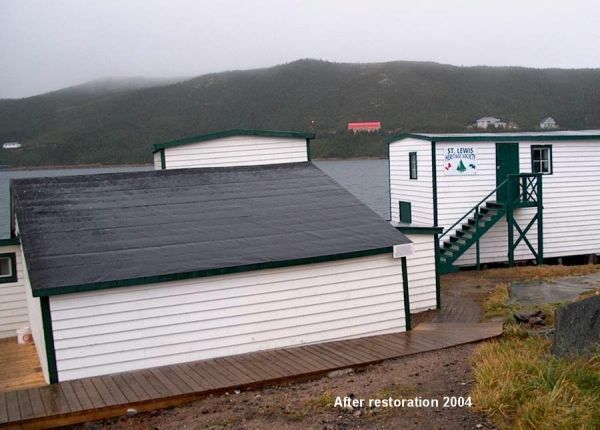 The museum now features three of these restored buildings, which once again grace the waterfront, and displays artifacts relating to the fishery and life in the community during the past century. The Loder's Point Premises are a restoration project of the St. Lewis Heritage Society.